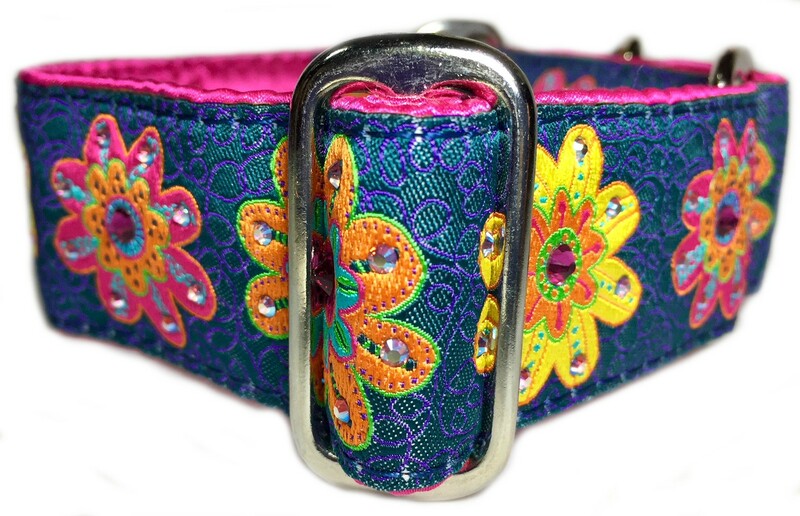 A beautiful denim blue jacquard with a bright, colorful floral design is sewn onto a base that is first completely wrapped in hot fuchsia pink cuddle satin. Then for the ultimate sparkle, lots of genuine Swarovski crystals are artfully applied in both Fuchsia and Crystal AB. 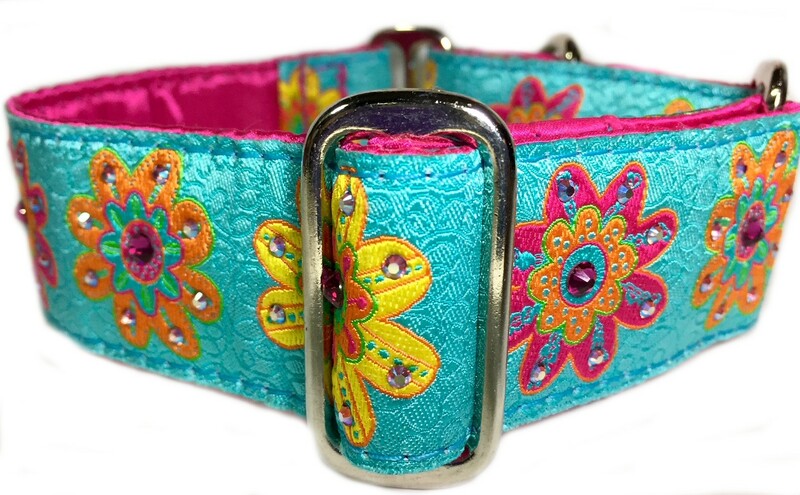 Photo shows a 1.5" wide martingale collar put together with premium nickel hardware. 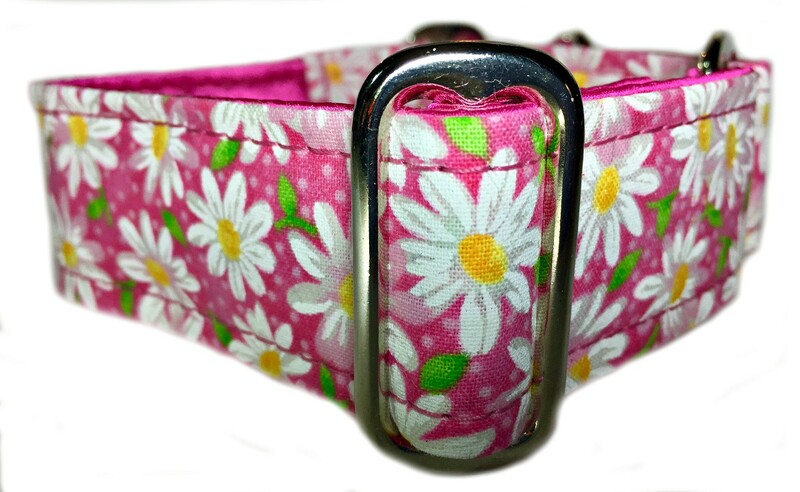 The 2" version will have a border of the fuchsia cuddle satin showing on each side of the ribbon.